There’s so much to love about Avanti – one of the most trusted names in Australian kitchenware for over 20 years and chosen by both home cooks and professional chefs because of its simplicity of design and its high quality. Thanks to our continued love affair with Asian food, Avanti has come to the rescue with solid bamboo baskets that are hygienic to use and strong. They’re ideal for preparing vegetables, fish, dumplings and noodles to perfection and they're also a novel way of presenting the food at the table. . Available in two sizes whether you’re preparing an Asian feast or a just treating your family to some healthy, steamed foods, choose the size that’s right for you. Traditional bamboo designed for durability. Domed lid traps steam efficiently. High quality bamboo stitching will not corrode or deteriorate. The 8mm slates on the base will take heavy loads. Hand wash recommended. Wash in warm, soapy water before first use. 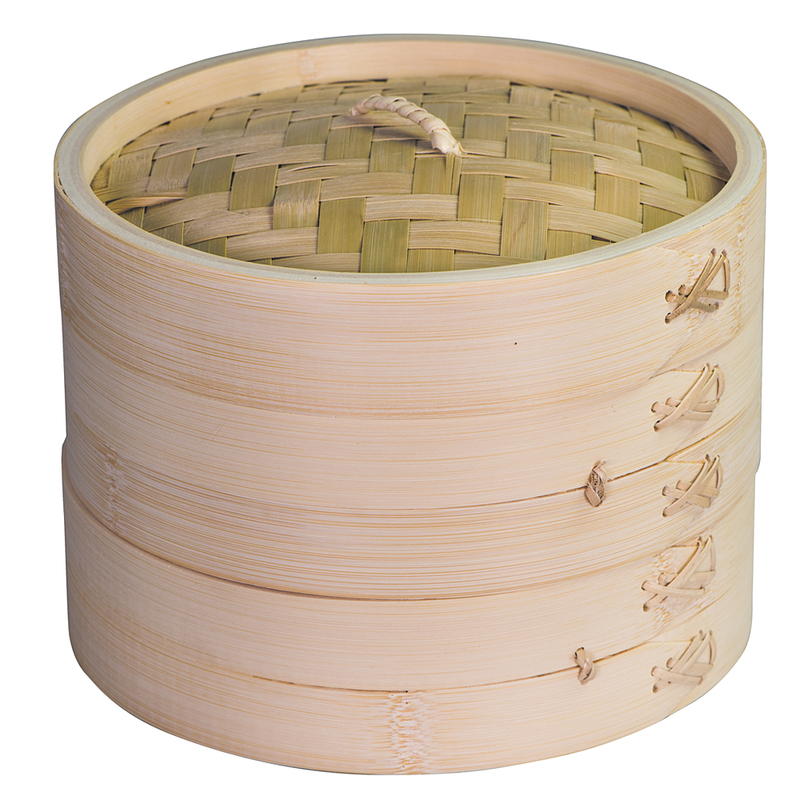 2 x 25cm x stackable steamer baskets. Dimensions: 26cm (l) x 15cm (h).